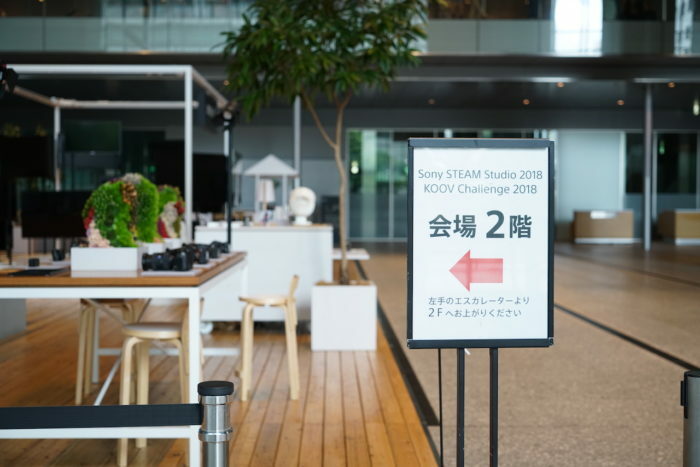 On July 28 and 29th, the second round of KOOV Challenge, KOOV Challenge 2018 was held at Sony HQ in Tokyo. With the expanding network of KOOV users, the event has significantly scaled up since last year. The 116 challengers who had passed the qualifying round in the KOOV app have gathered to pump up the event. Here is a report on how this exciting event went for two days. 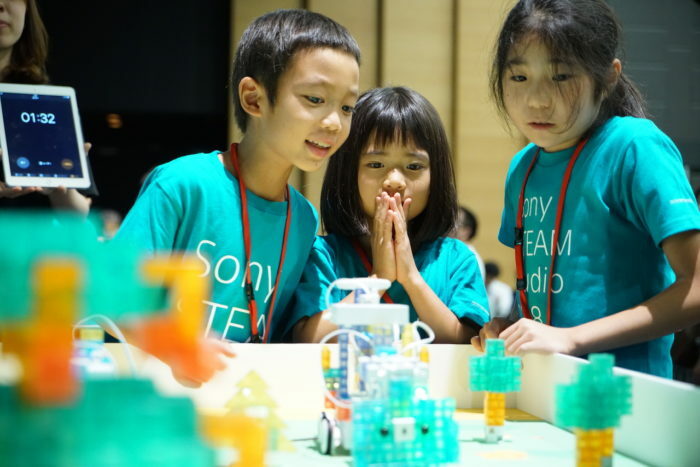 This year, KOOV Challenge took place at Sony HQ, where kids could see different Sony products and technologies. 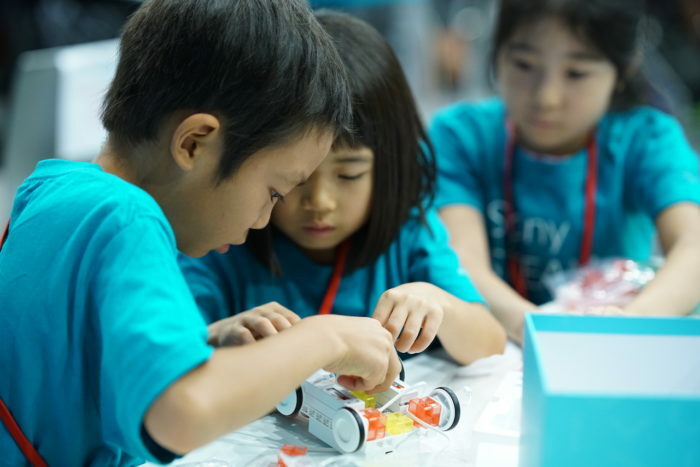 Our aim for this event is to provide a place for kids to enjoy challenging themselves with curiosity and science minds as much as they can. 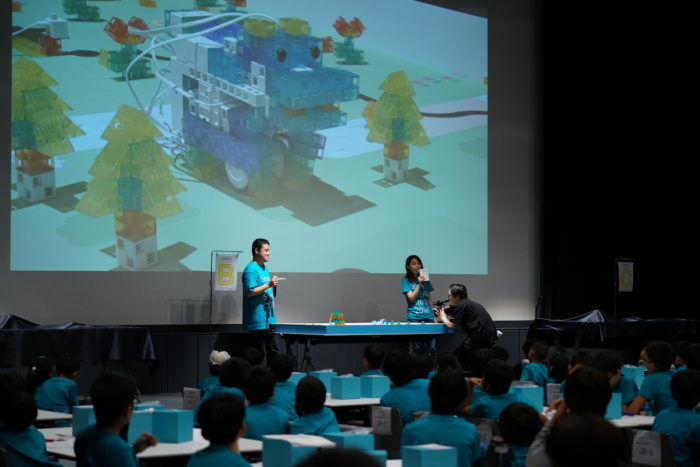 The theme for this year’s presentation contest was “A Robot Living Closer to Humans”. What and to whom would the kids do to make them happy? 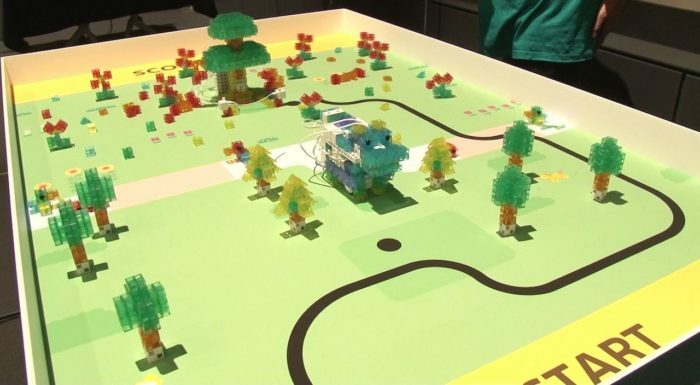 What would the design of the robot be like, and how would they code to make them move? 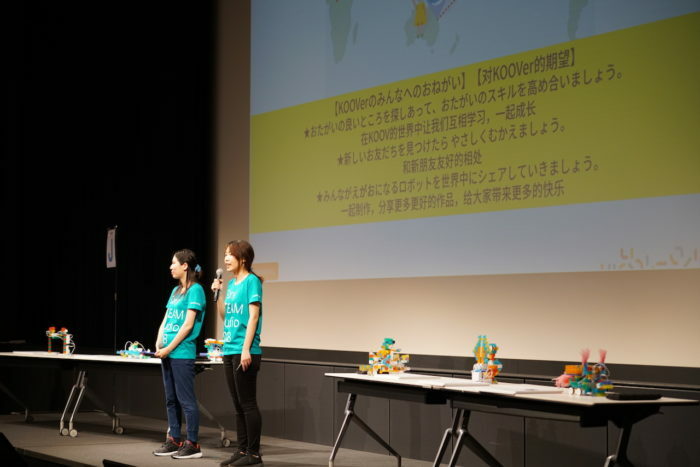 Everyone came up with a variety of original robots and presentations, putting together their imagination and design skills that they earned with KOOV. 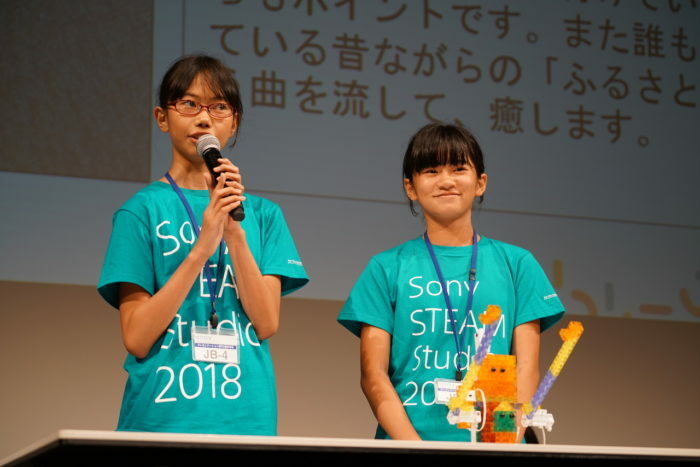 The first team to present their work was the Junior Group. Everyone did a great job on explaining their robots using the reference slides. 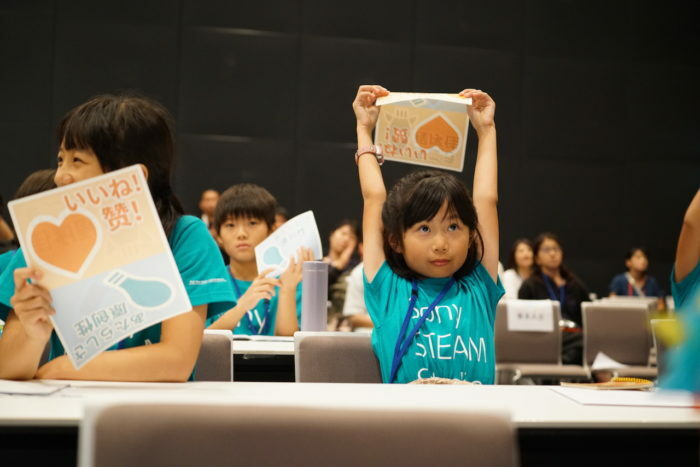 Challengers from China and Japan competed for their ideas over the same theme beyond different language and nationalities. 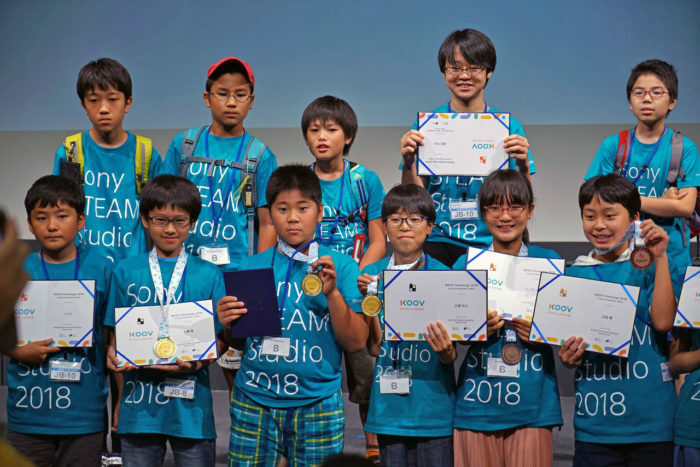 Many of the challengers from the Senior Group already had a coding experience because they had been using KOOV in their schools and cram schools. Based on what they had learned, they came up with an even more advanced way of expressing a new idea. 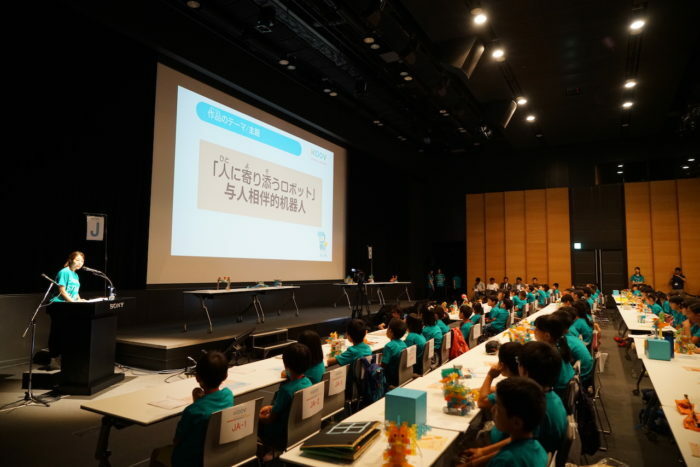 One of the challengers even gave a presentation in English. We hope to provide a community where everyone can mutually enhance to learn higher skills in KOOV. Challengers enjoyed communicating with other creators that usually they can’t meet. 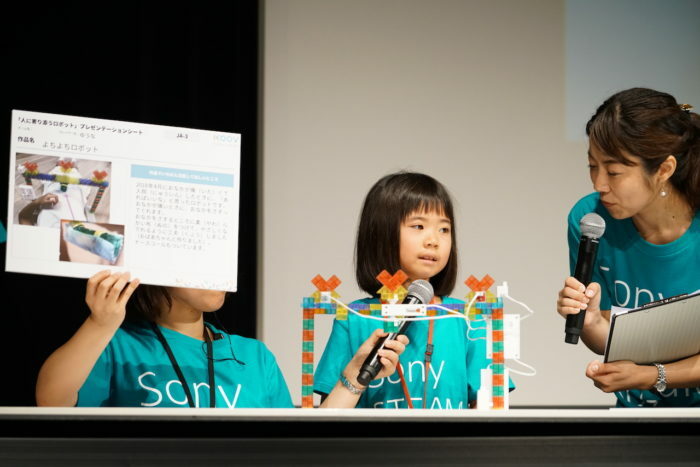 The theme for the Team Competition was “Self-Driving Car Challenge”. When the competition field of “KOOV Forest” was revealed on the contest day, the hall buzzed with excitement. 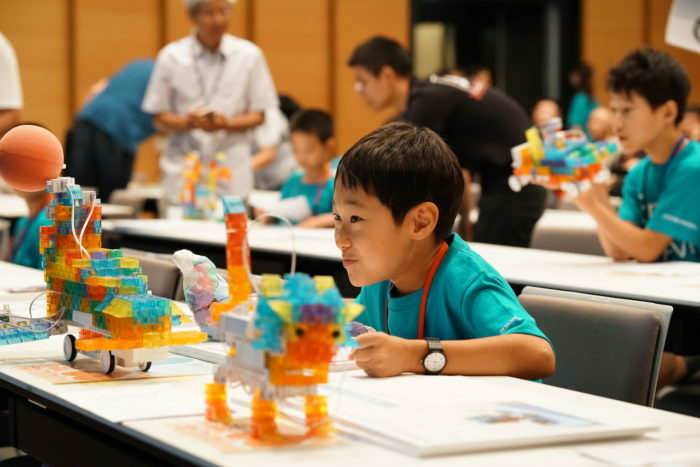 The challengers were required to make a robot run the track of KOOV Forest, while avoiding the obstacles and collecting some targets on the way. 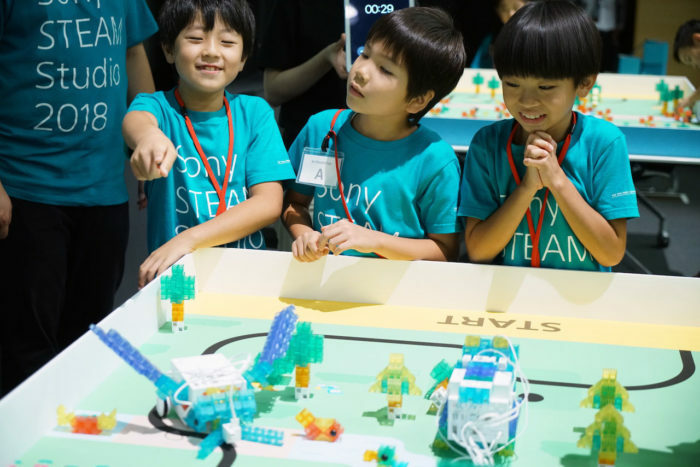 Challengers gathered their ideas in teams of three and began creating robots to complete the task. Some of them seemed puzzled for not being able to find the best solution after a heated discussion. Every one of them looked serious to make the best effort. All teams were trying hard to find the best solution under the given environment and rules. A real KOOVer would not only find the shortest way to get to the solution, but also a way to make the audience amused and surprised. Going through trial and error, again and again, they learned to fail fast and learn from their mistake to lead themselves to a success. Against some failures, they made a progress step by step by encouraging each other in the team. Finally, the performance time had come. 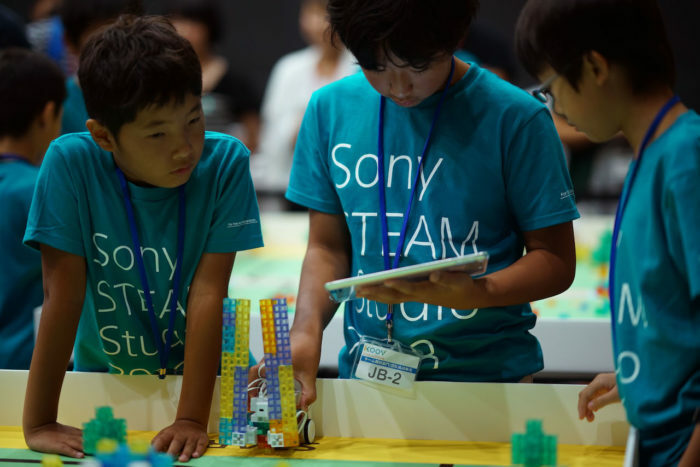 Each team did their best to earn a high score within the time limit, using their creative robots. Their different emotions of excitement, anxiety, and joy filled up the place. The award-winners were feeling much accomplishment despite the fatigue. 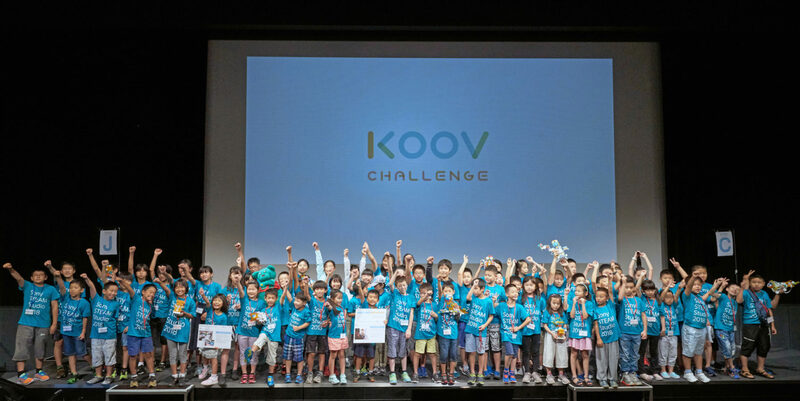 This year’s KOOV Challenge ended with a promise that Challengers would keep encouraging each other. 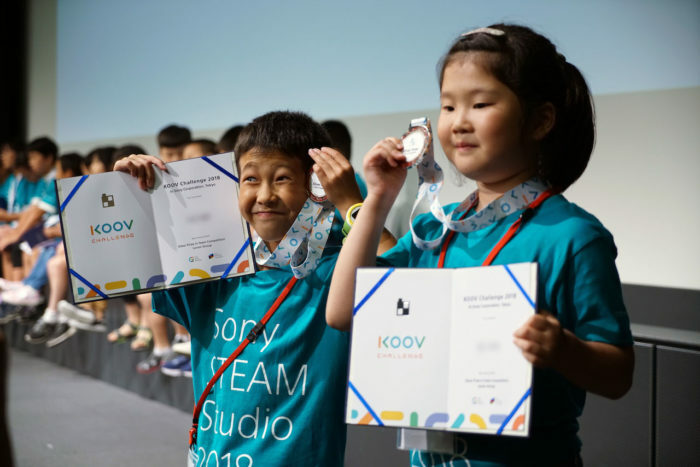 In KOOV Challenge 2018, many experts participated as judges. We would like to take this opportunity to express our appreciation to them all. 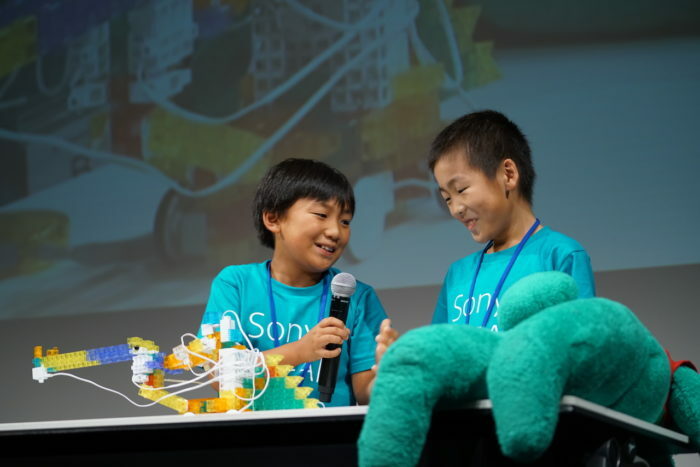 Today’s children are growing up in an age of artificial intelligence. Facing an uncertain and unpredictable future, they must adapt to a rapidly changing society. They need education that doesn’t focus only on right answers but rather teaches them to discover their own answers. 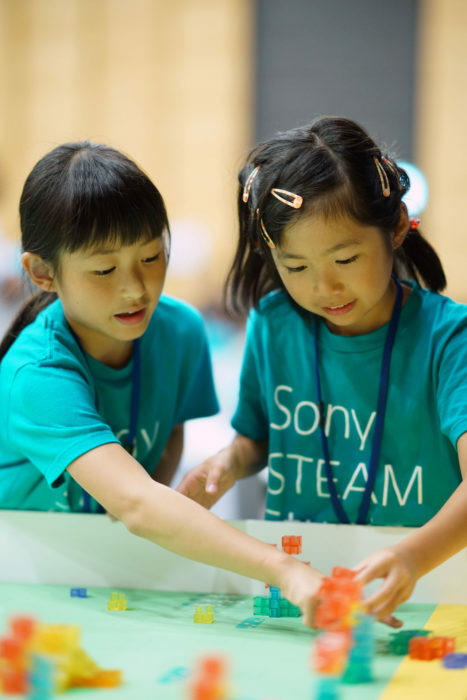 How does Sony’s trial-and-error approach to innovation empower STEAM educators to nurture young future innovators? 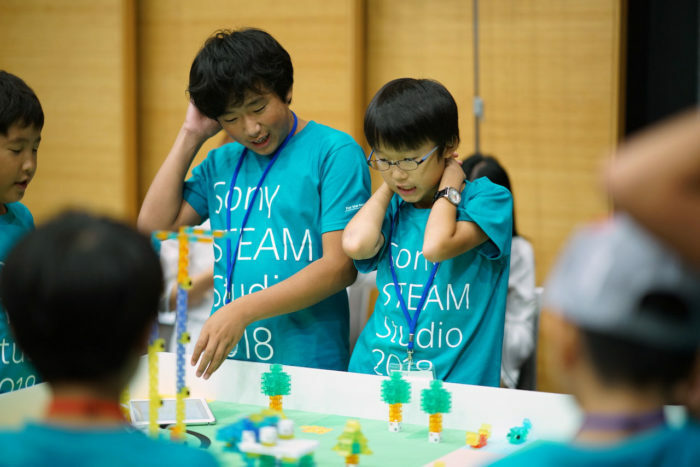 Here, Masaaki Isozu of Sony Global Education and scientist/learning theorist Dr. Kenichiro Mogi of the Sony Computer Science Laboratory talk about the need for programming education that nurtures children’s creativity. We issued the digital prize for the players in the “KOOV Challenge 2018”. 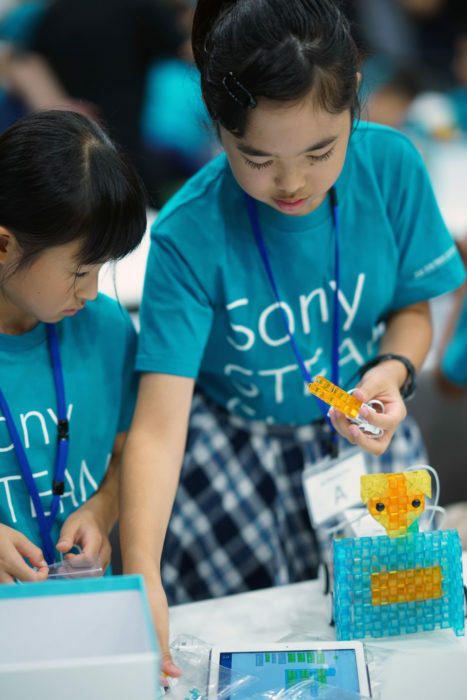 At Sony Global Education, Inc., we are proud to introduce a new service for managing transcripts and scores through a digital platform: Blockchain. We are demonstrating how blockchain will become the future of maintaining and managing transcripts and high security data in education. On the website below, we provide a function to check whether the certificate image is correct data. For more information please visit the following website. 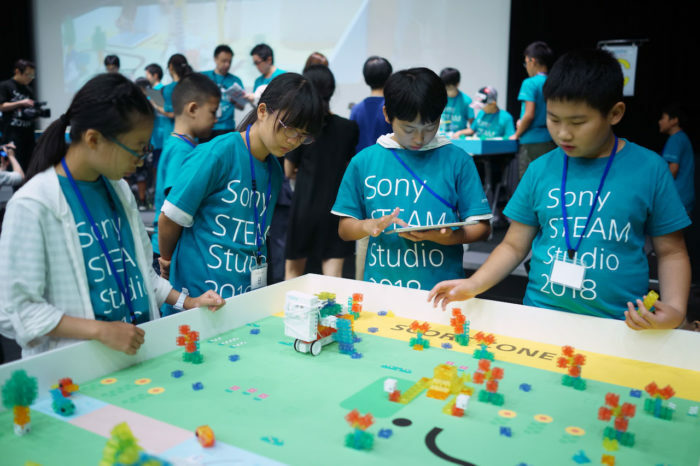 In addition to KOOV and KOOV Challenge, Sony Global Education will work extensively to contribute to the education of a new generation.